Whether you are planning to have an intimate wedding or an exorbitant one, Grand Hotel will surely match your unique choice, budget, and requirements. With a capacity of accommodating up to 80 in seating and 120 in floating, the venue has a cosy and comfortable interior for the guests. It also offers an in-house team of caterers that puts all the efforts to delight the guests with mouth watering multi-cuisine dishes. Nearly a century old, Grand Hotel, Mumbai, with its magnificent stone facade and its location in the city's prime heritage area, has the old-world charm of a bygone era. 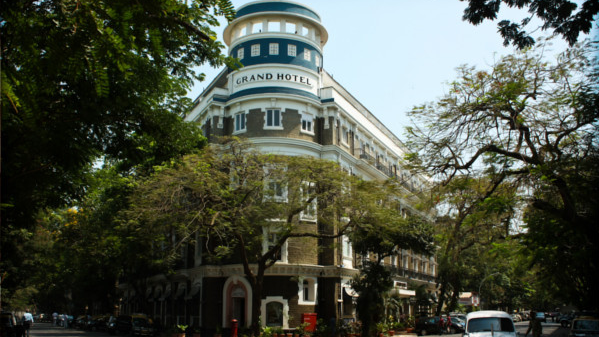 Designed by architect George Wittet known for landmarks like the Gateway of India, The Prince of Wales Museum, Institute of Science and Bombay House; Grand Hotel represents a piece of Mumbai's history. Choose from either of the two elegantly appointed halls at the hotel as they're both perfect for private as well as corporate events. Grand Hotel in Mumbai boasts of state-of-the-art facilities, a brilliant interior and decor which create a hospitable environment for the patrons. The tastefully decorated rooms ensure a comfortable stay for the guests by making available a host of in-room amenities such as room service, free Wi-Fi access, television, storage, comfortable beds, plush seating arrangement and much more. The large windows providing a bright view of the city sky is a true spectacle to watch and enjoy.